Sleek black optic with gloss black trims. Bolt-on fitment for all Q8 models. 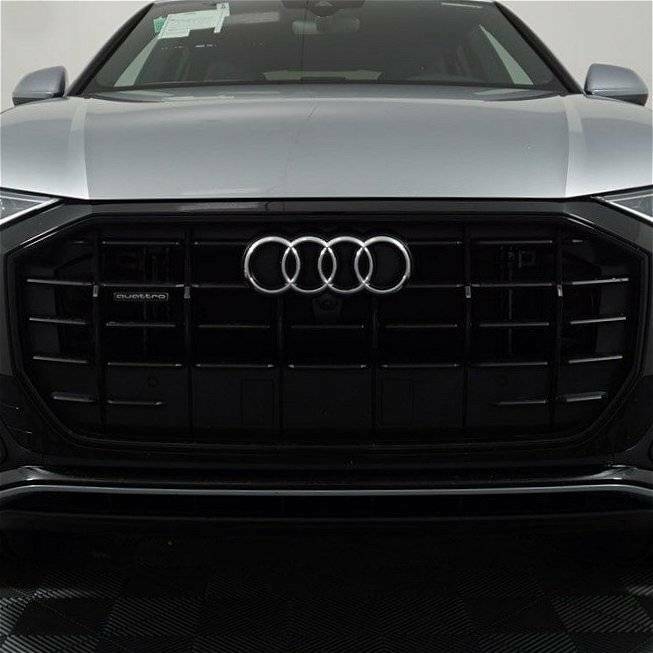 Grille features a European license plate cutout or can reuse your stock US plate holder. Grille also has the option of adding matching satin black plate delete trims for that full smooth appearance. *Note that for cars with adaptive cruise control matching satin black trims can added if needed.